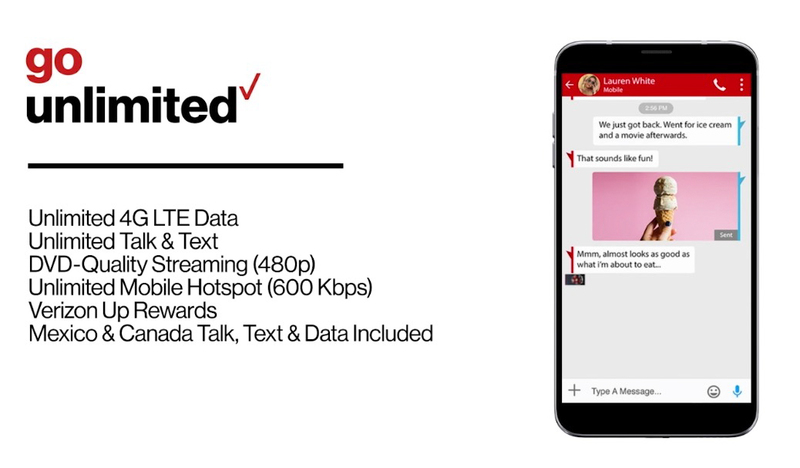 Verizon dropped big plan news this morning with the addition of a new unlimited data tier as well as a change that will allow customers to mix and match unlimited data plans on their family accounts. All of this arrives on June 18, so let’s talk about what’s happening. UPDATE: Some additional thoughts here on the state of the US wireless industry and what “unlimited” means at this point. 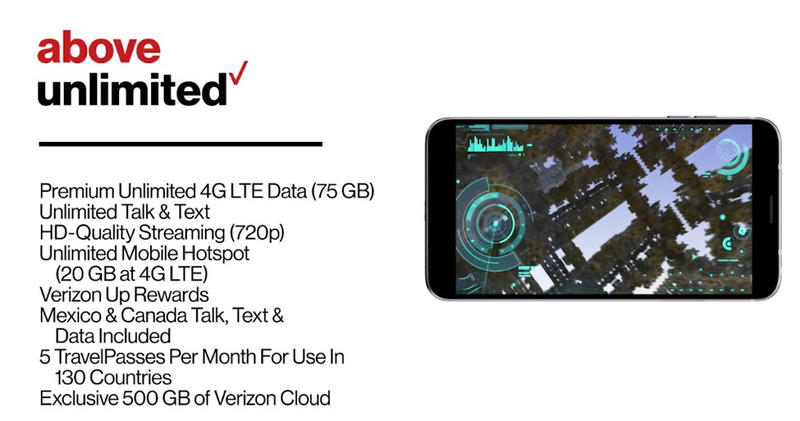 For one, Verizon now has 3 unlimited data plans: Above Unlimited, Beyond Unlimited, and Go Unlimited. 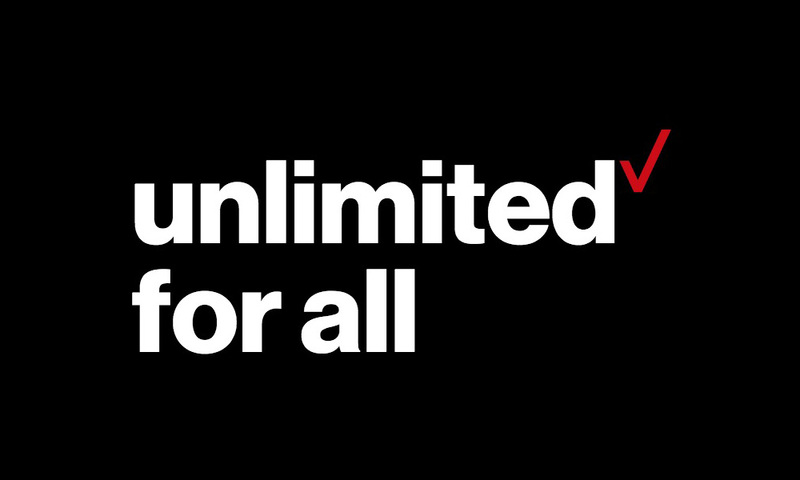 If you have been paying attention to Verizon, you know that Above Unlimited is the new guy. This is a $95/mo plan for the supposed heavy lifters. It includes 75GB of “premium” unlimited 4G LTE data, unlimited talk and text, 720p video streaming, 20GB of 4G LTE hotspot, talk/text/data to and from Mexico and Canada, 5 monthly TravelPasses, and 500GB of Verizon Cloud storage. How does Above Unlimited compare to Beyond Unlimited, which was Verizon’s previous top-tier unlimited data plan? For one, you get more “premium” 4G LTE data to use each month before Verizon might throttle you. On Beyond Unlimited, you can use 22GB of data before Verizon can start slowing your connection when accessing their network “in times of congestion.” With Above, you can use up to 75GB before that happens. They’ve also added another 5GB of hotspot data to the plan, included TravelPasses (normally $10/day), and are letting you store up to 500GB worth of junk on their Verizon Cloud. Above Unlimited costs $95 for a single line, $90 per line for two lines, $70 per line for 3 lines, and $60 per line for 4 lines. Beyond Unlimited starts at $85 for a single line. For $10 more per month, you get more “premium” 4G LTE data, more hotspot data, 5 TravelPasses, and cloud storage. 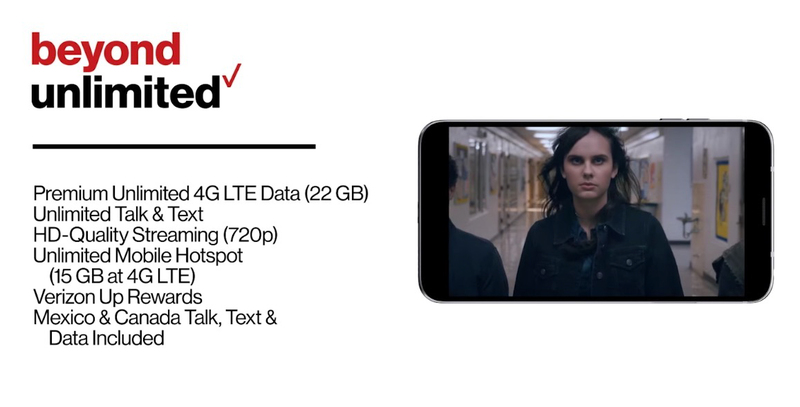 Going forward, Verizon is going to let you mix and match their three unlimited data plans. Previously, if you were subscribers of Beyond Unlimited and had multiple lines, all of your lines had to be with Beyond Unlimited. If you subscribed to Go Unlimited, same thing. But now, you can have dad and mom with Beyond Unlimited plans, your brother with a Go Unlimited plan, and your Instagram god sister with Above Unlimited. The pricing is pretty straight forward. If you look at the chart below, everything depends on how many lines you have. Should you choose to mix and match, you just find the number of lines and match it up to this pricing. 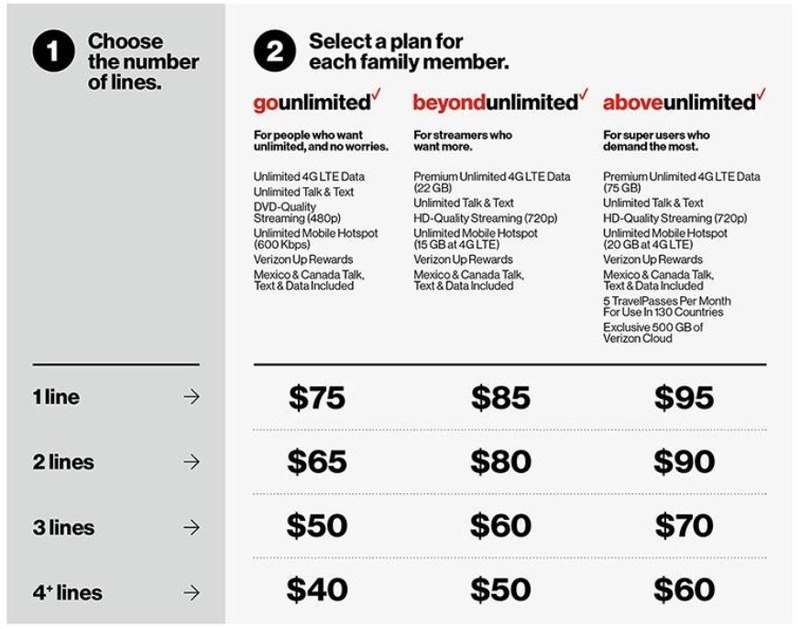 If you have 3 lines using one of each of Verizon’s unlimited plans, you would pay $50 + $60 + 70. If you have 2 Go Unlimiteds, 2 Beyond Unlimiteds, and an Above Unlimited, your bill would be $40 + $40 + $50 + $50 + $60. If you have 2 lines, 1 on Beyond and another on Above, you would pay $80 + $90. That make sense? Again, all of this kicks off on June 18 (Monday).